Interest in CDPs continues to accelerate, with more retailers realizing that traditional IT-led data management processes aren’t keeping pace with trends in customer engagement, including customers that are demanding a seamless experience across channels. In fact, according to Gartner’s Market Guide for Customer Data Platforms, in 2018, Gartner client inquiries pertaining to CDPs doubled when compared with the same period the previous year. If you are marketer that understands that a CDP will bring significant benefits to your organization; that it should be the center of a modern marketing stack, collecting data and feeding it to your organization’s multiple channels, how do you build the case for CDP implementation? With so much to gain from a CDP deployment, it makes good business sense to spearhead the initiative within your organization. But how do you convince senior management to take that next step and implement a CDP? We know that presenting a new budget item to senior management can be a hard sell, especially when they may not be familiar with CDPs, so we created a plan to help. In our guide, Building the Case for a CDP in Your Organization, we lay out four steps to help you demonstrate the marketing, operational and financial benefits of a CDP to your senior management. The first step involves demonstrating how a CDP will improve the bottom line by creating greater efficiencies in personnel and resources, and allowing for more automated, higher velocity marketing. It’s important for senior management to understand that CDP will enable them to derive more value from customer data that they already have. Next, make the case by showing how, even though a CDP will be owned and managed by marketing, it can positively impact other departments in your organization. Departments like IT, Finance, Merchandising, and even the C-Suite itself will realize improvements in effectiveness and reductions in cost. 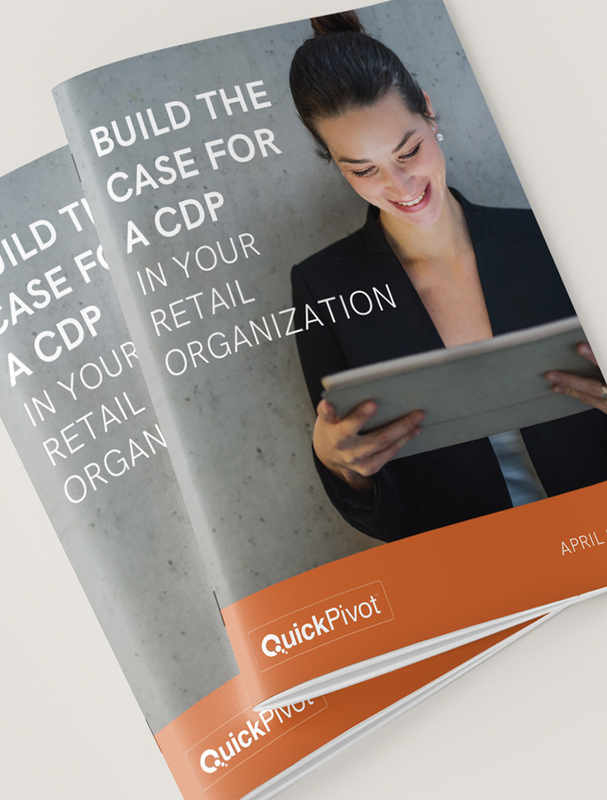 Further make the case by introducing real-life case studies which show the positive results realized when retailers implement a CDP in their organization. Our guide provides examples of two such cases. Finally, address the financials by demonstrating that many retailers see a return on investment in a CDP in under a year, and some even see increased ROI in less than six months, depending on organizational goals. A CDP’s value can be hard to argue against when you focus on the proven benefits: more effective and high-velocity marketing, increased efficiencies, lower costs and more satisfied customers.